This is not a verbatim transcript. Some wording has been modified for clarity. Laura Harris Hales: Hello. This is Laura Harris Hales. I’m here today with Eric Huntsman. Can you tell us a little bit about your education and your research, Eric? Eric Huntsman: Sure. Thank you, Laura, for having me. My name is Eric Huntsman, and I’m a professor of ancient scripture at BYU. I actually started out at BYU as an undergraduate in 1983 as a chemistry pre-med major. That didn’t go very well, so I changed to a double major in classical Greek and Latin. I graduated in 1990, and then went to the University of Pennsylvania where I earned my masters and my PhD in ancient history. By training, I’m actually a Greek and Roman historian. When I took my BYU job in 1994, I was in classics in the College of Humanities. I taught there for nine years, from 1994 to 2003, then I transferred to Religious Education. I have been teaching ancient scripture since 2003, primarily focusing on the New Testament. In 2011, my family and I went to Jerusalem for a one-year teaching assignment at the BYU Jerusalem Center, and I came back really interested in the whole Bible. I started doing some work in Hebrew and Jewish studies. Since my return in 2012, I have been coordinating the Ancient Near East Studies program in the Kennedy Center. Laura Harris Hales: Our discussion today is on your new book, Becoming the Beloved Disciple: Coming unto Christ through the Gospel of John. You have a particular affinity for John, don’t you? Eric Huntsman: I do. When I came to Religious Education in 2003, I kind of returned to my first love, if you will, which was the Gospel of John. I had been researching and writing sporadically on it. I’ve been associated with the board of editors of the BYU New Testament Commentary Series and was scheduled to write the volume on the Gospel of John. I have been putting it off, putting it off, putting it off, and putting it off, but I have been doing articles and chapters and things kind of leading up to it. When I was looking for a project after my last book which was Worship, I thought, “I’d really like to do something on John but for a broader Latter-day Saint audience. A 500-page commentary is not quite what they’re looking for. I was trying to think of some aspect of the background research I had been doing on John that would be digestible. It could be an easy read of 90 pages. And so, even though what I usually focus on is the divine portrayal of Jesus in the gospel of John, what we call “high Christology of John,” I was really interested in how the characters of the gospel encounter Jesus and the different responses they have and the different walks of faith that they have. I now see discipleship as the secondary theme of the Gospel of John. It just kind of grabbed me especially because I had begun to have more interaction with sections of the church that feel a little bit on the edges sometimes. I suddenly realized that some of these characters in John presented these different experiences people had and how all those different experiences were valid. Laura Harris Hales: Some members of the church, I’m not going to name names, may struggle with the New Testament because they wonder about its modern-day relevance. You mentioned three lenses that academics look through when studying a text. What are those lenses? Eric Huntsman: One of the things I’ve always incorporated in my teaching since I moved to Religious Education in 2003 is what we call exegetical method. The idea is that we can reconstruct or try to gauge the original meaning of the text to the original audience to the extent possible. What I tell my students is it is the “them-there-then” message. As Latter-day Saints, and I think believers of any tradition, we want to see how scripture is relevant to us. It’s always, “What does this mean to us here now?” I would always tell my students, “Try to understand ‘them-there-then’ so you can more correctly or accurately apply it to ‘us-here-now,’” right? You get the basic principles as far as you can reconstruct them and that then can guide your application with the New Testament text. I’m talking here primarily about the gospels because the original audience for the Pauline letters is the original audience he was writing for. But with the gospels, it’s interesting. We have later authors—Mark is written in the 60s, Matthew and Luke in the 70s or early 80s. If John itself was written in the 90s, you have these authors after the fact trying to recreate experiences people had encountering Jesus during his ministry. So that’s the first lens. I talk in the introduction about the text being a window into that earlier world. The second lens examines what that portrayal of Jesus’ ministry and his interaction with people meant to the original reading audience, which in the case of the gospel is 30 to 60 years after the events that they’re trying to paint. There are those two different levels, and this is particularly strong in the Gospel of John. I don’t do a lot of these in this particular book, but as I’m writing now more intently on my commentary, the original members of the audience of the Gospel of John, the Fourth Gospel, were having very different experiences than the initial Jewish followers of Jesus in the Holy Land were having. There is the experience of the man born blind whom Jesus heals miraculously. He and his parents are taken before the Jewish leadership in Jerusalem, and they are basically told to reject Jesus or be put out of the synagogue. Now, that term in Greek is not attested in the Second Temple period at the time that Jesus was encountering that blind man. But in the 80s and 90s, this is after the destruction of Jerusalem, a Christian Judaism is starting to kind of coalesce. We know that some Christian Jews were being put out of the synagogue. That’s the first lens. The question is would the first readers of the Fourth Gospel when they saw that term “be put out of the synagogue” immediately have related that to their own experience as they were being expelled from the synagogues say in the 90s. That’s actually a very dicey thing when you get into detailed analysis of the gospels in particular. But back to your original question. Trying to find the relevance for modern readers. In a Gospel Doctrine class or often even in my religion classes at BYU, I don’t go into that level of detail. But what I’m trying to do in this book is take the historical figures—they’re the root of the story in the Fourth Gospel—and talk about how they are portrayed as literary characters. That’s the point of contact for us because Nicodemus is more, I would suggest, than just a leader of the Jews at the time of Jesus. He represents a particular kind of disciple. If you can see that typology, it’s really a lot easier to make a connection with someone who has that temperament with that approach to seeking truth and understanding truth today. Laura Harris Hales: You talked about how it applied in the lives of those when it was written. This book to me seemed to be for us in modern times. What are the major themes in the Gospel of John as you’re looking through that third lens? Eric Huntsman: Obviously, the first theme is the one that’s introduced in the first half of the first chapter. This is often called the logos. It is these poetic compositions laying out Jesus as the divine word—the word that was made flesh. And that’s where my writing up to this point and my teaching up to this point has always focused on in the Gospel of John. What does the Gospel of John teach us as readers of any age about Christology, the person and work of Jesus? What does it mean when we say, “He is the divine son of God” or “God made flesh”? What has he done for us? What does it mean that he died on the cross for us or that he rose from the dead for us? Laura Harris Hales: I think Latter-day Saints are very used to that kind of approach because that’s about 100% of what Gospel Doctrine class is. But this book is different in the way you go about it. Eric Huntsman: It’s back to that matter of context that I mentioned before. Eric Huntsman: Even though each chapter has a two- or three-page application section at the end of it, the bulk of the chapter, two thirds to three quarters of it, is what we would call “explication of the text.” I’m trying to come up with the application by very carefully looking at the scenes in the gospel—in not just their historical context but also their literary context. You mentioned proof texting. You know what we often do for instance in the Nicodemus chapters. The very famous verses in John 3:3 and John 3:5 about being born again and us being born of water and the spirit, which we always immediately default to being the water of baptism and the baptism by the spirit through confirmation (Certainly, very valid applications of those verses). I always say to my students, “You need to know what comes before and after the passage you’re discussing, so that you have its proper literary and doctrinal context.” I’m dealing with whole chapters before I do the application rather than isolated verses. Laura Harris Hales: You mentioned the Christology in John. How is that different? Eric Huntsman: Now, I hasten to add that’s the way many scholars characterize these gospels. Julie Smith, who does great work on the Gospel of Mark, has actually reassessed Marcan Christology and calls it “a full Christology.” She acknowledges the way many earlier scholars have read it but points out issues where it’s higher as well. I don’t think that anyone can debate that, not just with the pre-existent Christology, which is in the logos hymn in the opening chapter of John, but throughout, John portrays Jesus pretty much as “the Word made flesh.” I mean, to borrow the verse we don’t usually sing from “Hark the Herald Angels Sing,” “veiled in flesh, our Lord is He.” He is Jehovah thinly disguised as a human being. There are only two times that he acts mortal. This is in the scene in chapter four where he meets the woman at the well where he’s tired and thirsty and sits down. He’s not really tired and thirsty. He never drinks the water he draws, never eats the food that his disciples bring, and then, on the cross, “I thirst,” but that’s to fulfill a prophecy. I mean, he is divine, and it is striking compared to the other gospels. Laura Harris Hales: Before we get further into the characters and the stories that John uses to teach us about discipleship, I want you to comment on an observation you make in the book. You say, “John, even more than the other gospels, frequently used historical figures as literary characters.” Can you speak to that and why the method is effective? Eric Huntsman: This is John from an observation many scholars have made. In fact, some people have looked at the Gospel of John almost as a drama. Now, to be sure, there has been a lot done with performance theory of the Gospel of Mark, the earliest and the surest of the gospels. We think that Mark was read aloud in a single sitting sometimes in early Christian communities. All the gospels have that kind of dramatic aspect. But the characters in the Gospel of John are so much more developed. If you were to look at the Gospel of Mark, the only other character that jumps out as developed, besides Jesus himself, is Peter. In John, you have these characters, sometimes very minor characters, sometimes unnamed characters such as the man healed at the pool of Bethesda, or the man born blind who receive more characterization and more play, literally more airtime, than characters ever would in the synoptic gospels. What’s interesting to me and where the idea of approaching these characters typologically really struck me was not with the characters such as Nicodemus who are named. It’s the characters who are unnamed. We’ll talk more I’m sure about the figure of the Beloved Disciple himself in the final chapters of John. But the Beloved Disciple, traditionally always assumed to be the apostle John, the son of Zebedee, the brother of James, is never named. The man born blind is never named. The man in the pool of Bethesda is never named. Some of the major characters whom I focused on such as the woman of Samaria are never named. The mother of Jesus is never named. And I have to tell you, I was pretty careful not to call her Mary in my book because the fourth evangelist, the author of the Gospel of John, never does. What this anonymity does is it allows these characters to be bigger than the historical figures upon whom they’re based. So, for instance, if the mother of Jesus were named Mary, and the Beloved Disciple were named John, it would be pretty easy for us to assume those were the experiences simply of Mary, the mother of Jesus, and John, the disciple. But because they’re not named, that gives a little bit more distance between the historical figure upon which the characters are based and the literally characters themselves, and so the reader is able to associate herself or himself with these characters. Eric Huntsman: Yeah. You mentioned earlier that some Latter-day Saints in Sunday School and other contexts have a hard time relating to the New Testament. I actually think the Fourth Gospel, the Gospel of John, provides us in some ways with an easier entre into identifying ourselves or associating ourselves with the events of the New Testament because of this approach to characterization. Laura Harris Hales: It also takes you away from that historical accuracy and setting. There are places in the book where you go, “Don’t worry about the details. We’re not talking about details here. We’re not going to analyze this.” We want to talk about the imagery. What is he trying to tell us here? That is what is important. You mentioned the Beloved Disciple earlier. How does he function as a narrator in the Gospel of John? Eric Huntsman: I’m glad you raised that point because some scholars would say he doesn’t. So once again, if you go with the traditional attribution of this gospel to John, the son of Zebedee, one of the Twelve, then he is the character of the Beloved Disciple, and he is the author of the gospel, and he is the narrator. Now, he can be all three, but they can be different, right? We can talk in a moment about why the figure of the Beloved Disciple, particularly in the later chapters, is portrayed separately from the voice of the narrator. The narrator has a more clearly discernable voice, I would suggest, in the Gospel of John than you have in the others. In the synoptic gospels, the narrator very rarely breaks in and says, “Let’s talk about this. Let me point out something to you.” One of the few examples I can think of off the top of my head is in Mark 13 where Jesus is doing the great Mount of Olives discourse. At one point he says, “He who reads, let him understand.” Now, that actually could be Jesus talking, which is interesting because then maybe there is a Book of Jesus somewhere we’re going to find, but it’s probably the author of the Gospel of Mark. The narrator in the Gospel of John pops up all the time. We do not always see this because of the way our King James Bibles are formatted—you don’t see paragraph structure, and you don’t see quotations. But when Jesus is talking in Nicodemus in chapter three, moving past the proof text about being born again or born from above and being born of water in the spirit, you’ve got this wonderful discussion of a sign that Jesus promises Nicodemus when you see the Son of Man lifted up as Moses lifted up the serpent in the wilderness. And then, it is followed by two very well-known and beloved verses, 16 and 17—“For God sent not his son into the world.” Because there’s not a break in the structure and the formatting of our printed Bibles, we assume that Jesus is still talking, and some scholars make that argument. But actually, more make the argument that this is the narrator reflecting on what Jesus has just said. This happens frequently throughout this gospel. The narrator actually talks to us at the end of chapter twenty, which is probably the original ending of the gospel. He lays out the theme of this gospel: There are so many things written and so many signs that Jesus did that we couldn’t get them in one book; these are written that you may know that Jesus is the Christ, and then believing in my word you may have eternal life. That was probably the original ending, and the narrator talking to us. In the final ending of the book in the epilogue chapter twenty-one, a later editor actually pops in and talks about the witness of this Beloved Disciple figure, and I don’t think you get that in the other gospels. Laura Harris Hales: Talking about that, you make me want to look at my NRSV and my Thom Wayment rendition to see how they treat this differently. One of the first disciples that John introduces us to is Simon, later known as Peter. How are names viewed in the ancient world, and what significance does that have in the case of Simon Peter? Eric Huntsman: Well, that is an interesting question because even if you were to go back to the Hebrew Bible, sometimes the characters in the texts have these names which are so descriptive of how the people later acted. Either they had to be prophetic baby blessings on the part of the parents who gave them those names or … I’m thinking of the different children of Leah and Rachel. Laura Harris Hales: I think they were probably literarily relevant. Laura Harris Hales: I mean, when it falls into place so well, you always question. Eric Huntsman: Right. Now, in Peter’s case, of course, it’s different because Jesus renames Peter, right? Peter is given a name; it would have been Shimon or Simon. And then, of course, in chapter one, Jesus says, “You will be called Peter or Petros in Greek. You will be “Rocky.” Your name will be Rocky. It’s interesting because we all know that after Jesus, Peter becomes the chief cornerstone of the Apostles and Prophets. He says, “You’re going to be the foundation of the church.” Particularly from the book of Acts onward, Peter is “the Rock.” Of course, both in the Gospel of Mark, which somewhat argues based on the preaching of Peter and in this later Gospel of John, Peter’s almost anything but firm as a rock. It’s almost what he can become rather than what he is when he’s given the name. Eric Huntsman: It is interesting that of the first chain of witnesses, the prophet John, Andrew, the other disciple, Peter, Philip, then Nathaniel, Peter actually stands apart from the others in that scene because he doesn’t make what we call a “Christological Confession.” All the other ones come to see Jesus, and when Andrew comes and gets Peter he says, “We found the Messiah.” When Phillip goes and gets Nathaniel, he says something similar. And then Nathaniel, at the end of that chain, gives the most explicit Christological Confession in the text: “We have found the King of Israel, the Son of the Living God.” The only person who has a stronger and more accurate Christological Confession, interestingly enough, is Martha, in chapter eleven. She has what we would almost call an “apostolic Confession” of who Christ is. But Peter is kind of surprisingly void of that. He doesn’t become a clearly drawn character until the passion narratives. And then, of course, it’s within the context of the Prophecy that he would deny knowing Jesus in the three-fold denial. He’s not rehabilitated until chapter twenty-one when he does the three-fold affirmation of love at the end of the gospel. Eric Huntsman: He is a roughly hewn rock, and he has to be polished. His experiences, including his mistakes, polish him, and he is more of the finely hewn rock by the end of chapter twenty-one. I mean, I can’t help but make the association with Richard Bushman’s title of his biography Joseph Smith: Rough Stone Rolling. Of course, this is all coming out of that vision of Daniel of the rock hewn out of the mountain without hands. As it rolls, it smooths and then grows into what it’s meant to be. Laura Harris Hales: Besides the obvious reason we would like now, why do you think it’s important to John’s overall message to include the witness of women? Why was it important back in the first century? Eric Huntsman: All of the gospels share an almost revolutionary view of women. Even if you go back to Mark, the presumably first gospel. The first people that get a witness that the tomb is empty, that Jesus is raised from the dead, and hear the voice of the angel are women. Within a Jewish and Greek culture, women frequently were not admitted as witnesses in legal cases. It’s a little different in the Roman context. To have the first witnesses be women whose testimonies would not be admissible in court anyway is kind of striking. To people who do historical Jesus studies from all four gospels, it becomes apparent that Jesus’ view of women seems to be broader. He accepts them as disciples. Even if you go back to that scene of Martha cooking and Mary sitting at the feet of Jesus in Luke 10, you have Mary of Bethany portrayed as a disciple sitting at the feet of the Master learning, which does not seem to have been the usual case. I often tell students if you want a feminist gospel, then it’s usually Luke. Luke has more women than any of the other gospels. In fact, Luke frequently put women and men in gender pairs so that you see if Jesus does one thing for men, he does something similar for women. John doesn’t have as many women as Luke does, but the women he has are much more developed. Starting in chapter two, the mother of Jesus is a major actor in what’s going on at the Wedding at Cana and then certainly with the dialogue with the Samaritan woman in chapter four where a woman has a whole chapter. And then in chapter twenty, with the resurrection appearance of Jesus to Mary Magdalene, a whole section of the chapter is devoted to a woman. Eric Huntsman: What’s interesting about these characters is that you don’t see how they get their own witness. You see the chain of witnesses, someone hears the testament of someone else, comes to Christ, comes to believe, and we see the woman of Samaria dialoguing with Jesus. The mother of Jesus comes on the scene already knowing who her son is and trusting that he can work a miracle, that he’ll take care of this problem at the wedding. Mary Magdalene is at the foot of the cross the first time she’s introduced, obviously believing in Jesus, obviously loving him. You get this sense that you’ve got these people who are already witnesses of Jesus. Their role in the text is that they share that witness and get other people to act. Eric Huntsman: It’s the mother of Jesus who gets the servants to fill up the water pots so that Jesus can do that first miraculous sign—changing water into wine. It is Mary Magdalene who is sent by the risen Lord to the other disciples to tell them that Jesus is raised from the dead. It’s not just that they’re witnesses, they’re women who act. The application section of that chapter is called “Learning from Women Who Know,” which I reference from Julie Beck from when she was general president of the Relief Society. Although some people have mixed reactions about that overall sermon, I thought it was worth pointing out what Sister Beck, I think, powerfully pointed out to us that when women who know testify, they can influence people for good. That’s what the mother of Jesus did and that’s what Mary Magdalene did. In the application section, I referenced the women in my life, particularly my own mother. Eric Huntsman: There’s that wonderful scene in the later letters attributed from Paul to Timothy where the character Paul says to Timothy, “That faith which was first in your grandmother Lois and your mother Eunice is now in you.” I was quite intent on pointing out that women were not only the earliest witnesses of Jesus but they were also the earliest actors in getting people to come to Christ. In fact, if I could bring the Samaritan woman in, she goes to her home village and says, “I think I have found him. He told me everything I ever did. Is this not the Messiah? Is this not the Christ?” She is the first missionary in this gospel who brings her whole village to Jesus. Laura Harris Hales: You mentioned three Marys as witnesses in your book. Let’s talk about Mary, the mother of Jesus. How is she a prime witness? Eric Huntsman: Well, as I mentioned, she appears on the scene as someone who already knows who Jesus is and what he can do. I often will point out in my broader teaching that after God the Father who gives the strongest witness of his son in the synoptic gospels at the baptism and the Mount of Transfiguration, the prime witness of Jesus Christ was not the Twelve. It was his mother. Who better than his mother would know that he was divinely conceived or miraculously born? She bears this witness through her actions and through her confidence and faith that her son can resolve this situation for the people at the wedding in Cana. But then, she appears at the foot of the cross witnessing that her son died for the sins of the world. In terms of both Christology and the personal work of Jesus, she’s the prime witness that Jesus is the son of God, and she’s a leading and important witness in what he came to do—that he came to die for us. Eric Huntsman: Now, the Gospel of John lacks what we call an infancy narrative like in Mathew 1–2 and Luke 1–2. We don’t have the story of the divine conception and miraculous birth. I have suggested in some of my earlier writings and in my speaking that actually the first of seven miraculous signs in John is the symbol of the incarnation—the divine conception and miraculous birth of Jesus. The symbolism of water and blood is pretty consistent throughout this text. Water almost always represents life, particularly eternal and everlasting life. It represents the power of the spirit, and it represents divinity. Blood, of course, we know is associated with flesh—flesh and blood mortality. I think they’re missing all the symbolism because in the Hebrew Bible the covenant relationship between Yahweh, Jehovah, and his people is typified as a marriage. It’s almost like Joseph and Mary being espoused but not yet coming together in Matthew 1, right? You have this covenant relationship between Yahweh and his people, but it’s never consummated. They never actually live together particularly because one party is always rebellious—they’re not being faithful to that covenant marriage. But with the incarnation and Jehovah becoming Jesus, this longstanding covenant relationship between God and his people is consummated. They are living together like Joseph takes Mary into his own house. The beginning of Jesus’ ministry in chapter two at the Wedding at Cana represents this covenant relationship between Jehovah and his people, which is now consummated as they’re taking up residence together. Laura Harris Hales: One of the tour guide things you do in this book is say, “Jesus refers to his mother as ‘woman.’” And we’re like, “That not very respectful.” And you’re like, “Wait, wait, wait, let’s look at this closer.” So, let’s look at it closer. Eric Huntsman: Yeah, and I do it differently than you usually see it done. In the late nineteenth century, a lot of Victorian-era scholars, these were Anglicans, wanted to see Jesus calling his mother “woman” as polite. It was like saying, “Yes, ma’am.” I was always taught to say that in the American South, but we actually have no evidence in Greek or Hebrew or Aramaic of a son ever calling his mother “woman.” And I think about how my father would have reacted if I walked in after practice, and my mom was cooking, and I said, “Hey woman, what’s for dinner?” My dad would have cuffed me. But I still say there’s something to make out of this, especially since Mary is not named. As I already suggested, she’s a type. When he calls her “woman,” he’s generalizing this experience to all women. And I didn’t make this up. I got this from the commentaries of Raymond Brown, a Roman Catholic father who used to be president of the Society of Biblical Literature. He’s a very fine scholar; he did the Anchor Bible Commentary on John years ago. He said, “Look at all the times in scriptural history where God or scriptural authors refer to women.” You have Eve at the creation and “the woman beguiled me” at the Fall. Now, we’re suggesting that Mary represents woman at the conception of Jesus. She is called woman at the cross, “Woman behold your Son.” “Woman” is present at the death of Jesus. Mary Magdalene—“Woman why weepest thou?” A woman is present at the resurrection of Jesus. Eric Huntsman: When I teach the infancy narratives of Luke, and we read that beautiful poetic song that Luke attributes to Mary, the Magnificat, “My soul doth magnify the Lord,” she is magnifying the Lord by bringing Christ into the world literally by giving birth to the babe of Bethlehem. I would often remind my students that in the Anglican and some other traditions they sing the Magnificat or pray the Magnificat in morning prayer every day. The idea is that just as Mary literally brought Jesus into the world, we as believers bring Jesus into the world each day through our examples, through our work, through our love, etc. By generalizing the experience of the mother of Jesus in John 2, it reaches out to all women and by extension to all disciples. I don’t think it’s gender-bound. I think that’s a pretty powerful way of approaching it. Laura Harris Hales: The mother of Jesus as a literary character appears at the beginning of the book at the Wedding at Cana and at the end of the book at the death on the cross. This is a scene in which everybody thought they knew was going on, and you kind of shook it up. So, what do we learn as Mary stands by the foot of the cross? Eric Huntsman: Some of the last words of Jesus are “Woman, behold thy son.” And then, he speaks to his disciple and says, “Behold thy mother.” The surface interpretation, which may be historically accurate, is that he was concerned about his mother’s well-being so he wanted his friend to take care of his mother. We have the disciple taking over the mother of Jesus in his care. It actually has some long-term problems since we know that Jesus had half-brothers and sisters, one of whom became a church leader who wrote a whole book about taking care of widows. The fact that James was not there to take care of his mother is kind of problematic. Eric Huntsman: Yes, and it should be a clue. Laura Harris Hales: —something more is going on? Eric Huntsman: The way people try to get out of that is to say, “James is up in Galilee and so maybe the Beloved Disciple had a home in Jerusalem. Perhaps it’s just short-term care.” But once again, people don’t usually get far enough to even start questioning that. As types we always think about the relationship of the Beloved Disciple to the mother of Jesus. The Beloved Disciple is now being adopted by the mother of Jesus. In fact, Roman Catholic interpretation of the mother of Jesus is that she represents the church. Catholic believers are taking the church into their care. They often will take that route of interpretation. I tell my students that the answer is always Jesus. The interpretation should be Jesus-focused. Up to this point, the Beloved Disciple is a student and apprentice of Jesus. He is also portrayed as a Beloved Disciple. Since love and friend have the same root in Greek, as they do in many languages, he’s a friend of Jesus. When the mother of Jesus becomes the mother of the Beloved Disciple, I think the critical point is how it changes the relationship of the Beloved Disciple to Jesus. No longer is he just a student or an apprentice, not even just a friend, but now part of the family of Christ. It happens at the cross, and that’s what’s significant. This is the salvific apogee of this text. At the moment of Jesus’ death, we all become part of his family. To reference the Book of Mormon and King Benjamin’s speech in Mosiah 5, he talks about how we have become the sons and daughters of Christ. We are begotten children of Christ. We’re part of his family. That’s just two or three more steps into this interpretive drilling down of the scene. Like I said, so often, we think we know the interpretation: “Oh. Beloved Disciple’s taking care of Mary. Jesus is just worried about where she’s going to stay that night and who is going to give her dinner.” We don’t bother to keep thinking and see what other levels of meaning are there. Laura Harris Hales: What is realized eschatology? Eric Huntsman: Okay. Let me define eschatology and talk about how it is usually used—what we call future eschatology. Eschatology literally means the study of end-things. In Christian eschatology, it has to do with the return of Jesus, judgment, resurrection, and glorification of the saints—the second coming and beyond. In Mark, Matthew, and usually Luke, we find future eschatology. It’s talking about things that are in the future. Occasionally, Luke, and often in John, eschatology is what we call realized eschatology. The blessing of Jesus’ saving and exalting work can be realized by his believers and followers, right now. They don’t need to wait till the end. In fact, a great example of this—and I’m paraphrasing, so I may not get the wording quite right. … But after the healing of the man at the pool of Bethesda in chapter five, there’s this long discourse by Jesus to his Jewish opponents, which is usually called the Discourse from the Divine Son. If you don’t mind, I will just look it up to make sure I get it right because the wording is quite important. In John 5, he is talking, and in verse 24 he says, “Verily, verily, I say unto you, he that heareth my word and believeth on him that sent me, hath everlasting life,” Present tense. Has everlasting life right now. “And shall not come into condemnation; but is passed from death unto life.” “Is passed” is present perfect, which means that “passed” is continuing the present action. Eric Huntsman: When we talk about our Seminary or Sunday School definition of eternal life, it’s about having the kind of life God and Christ have in their presence with their families in the celestial kingdom. It’s all future. That verse I just read says they have everlasting life right now. Now John occasionally will have future eschatology. In that same chapter in verse 29, he talks about the resurrection, “And shall come forth; they that have done good, unto the resurrection of life; and they that have done evil, unto the resurrection of damnation.” That’s future eschatology. But that other kind is more common. The idea is that when we come unto Christ, we have a new fullness of life. In fact, he says in John 10:10, “I have come that they may have life, and that more abundantly.” We can experience so many of the blessings of the Atonement and lay hold onto the promises of our future exaltation now. The reason I bring that up in the context of the Martha, Lazarus, and Mary story in John:11 is because the raising of Lazarus is almost always seen as a miraculous sign of Jesus’ power over death, that he can raise the dead, and that is the anticipation of his own resurrection, his conquest of personal death, and then his conquest of death for all of us. And yet, there is an interesting and awkward verse in Martha’s dialogue with Jesus. Jesus kind of dillies around for a few days when he hears that Lazarus is sick and doesn’t get there in time. Lazarus has died. And when he arrives, Martha runs out to meet him and says, “Lord if thou hadst been here, my brother would not have died.” But then, she gives her confession of faith, “I know that even now, whatever thou will ask of God, he will giveth to you.” And Jesus says, “Your brother’s going to rise again.” And she says, “I know he’ll rise in the resurrection.” Future eschatology. Eric Huntsman: This is really wresting intertextuality out of the text where it doesn’t exist, but I like to often say John 11 is Martha’s revenge. In Luke 10, there is the famous scene of Mary at the feet of Jesus, where Martha is kind of rebuked for “being cumbered about.” But it is clear when she was making dinner, she was listening to Jesus because she knows all about the resurrection. In John 11, she says, “I know he’ll rise in the resurrection.” Jesus says, “thy brother shall rise again,” and Martha says, “I know. He’s going to rise in the resurrection on the last day.” And then in verse 25, a very famous passage, Jesus says unto her, “I am the resurrection and the life. He that believeth in me, though he were dead, yet shall he live.” This sounds like future eschatology, and we quote that at funerals, at Easter time, and it’s the hope we have in the resurrection. But then, he has a verse that we usually don’t quote because it’s awkward. “Whosoever liveth and believeth in me shall never die.” Now, Lazarus had believed in Jesus, and he’s dead. My parents loved the Savior, and they’re dead. You and I love Jesus, and there’s a 95% chance we’re going to die—I’m holding out for the Rapture here in case he comes. But the point is, it’s got to be about something else. How can you never die? It’s because you already have joy in eternal life, which is not exaltation in the celestial kingdom. It is the fullness of life right now. Physical death is almost inconsequential, in which case, the raising of Lazarus, as you turn the page towards the end of John 11, is not just limited to raising Lazarus from physical death. It is using Lazarus as a type of all people when they hear and respond to the voice of Jesus, right? Jesus calls out, “Lazarus, come forth.” And Lazarus comes out. And here, the Book of Mormon theology actually helped me interpret this because the Book of Mormon so well defines what spiritual death is. Spiritual death is not the annihilation of the spirit. The working definition of death in the Book of Mormon is separation. Physical death is the separation of the spirit from the body. Spiritual death is our separation from God. And the reality is that every woman and man in the Gospel of John is spiritually dead until Jesus comes into their life and says, “Come and see.” Lazarus’s being raised from the dead is realized eschatology because he’s being raised from spiritual death, in which case our mute, passive figure of Lazarus represents every single one of us who is dead until Jesus comes into our life. Laura Harris Hales: Despite our rhetoric, I think most of us are more concerned with realized eschatology than future eschatology just because that’s the human part of us. We want joy now on Earth. Eric Huntsman: I think of that passage in the revelations of Joseph Smith in the Doctrine and Covenants about having peace in this life and in eternal life or the life to come. This isn’t the Middle Ages where we’re just trying to placate a bunch of serfs, saying, “Your life is awful but if you do what the church says, then you’ll be saved in the next.” We all want the gospel to be good news in our life now. We want to make a difference now. We want that peace of conscience that comes with forgiveness; we want the joy that comes in the message of the gospel and that spirit-filled life now. Laura Harris Hales: I like the message you wrested out of Mary’s grief. Do you want to talk about that? Eric Huntsman: We mentioned that Martha came running out to meet Jesus and said, “Lord, if thou hadst been here, my brother would not have died.” In the very next column when Jesus finally comes into Bethany, Mary comes out of the house, sees him, falls at his feet and says the exact same thing, “Lord if thou hadst been here, my brother would not have died,” and immediately is reduced to wailing. I mean, the word in Greek actually suggests she is inconsolable with grief. Jesus does not respond to her grief as he did to Martha’s testimony by teaching realized eschatology or future eschatology. He doesn’t teach anything. Think of that famous shortest verse of scripture, “Jesus wept.” What we see here is Jesus being the prime example of mourning with those who mourn. I started using the different ways that Jesus responds to Martha and Mary’s grief shortly after the passing of my father, when my mother, who was a faithful woman, had such a hard time with his death. I stood by her at his viewing as person after person came through with these platitudes. And we all know how platitudes work. You’re supposedly comforting the person, but really you’re making yourself feel less socially awkward. “Oh, Marilyn. Dennis is in a better place.” And I remember my mother, this refined, lovely lady, just losing it. In fact, it was two months after dad’s death. Their anniversary fell on Father’s Day. And I called my mom that morning, I said, “Mom, I’m missing dad. It’s Father’s Day.” She goes, “I know. It’s my anniversary.” And she said, “Let me tell you what happened at church.” She said, “Some happy Mormon lady—” and I guess it’s good we’re all Latter-day Saints now because we’re all absolved of the dumb things we did as Mormons. Laura Harris Hales: That’s really funny. Eric Huntsman: But anyway, this happy Mormon lady came bouncing into church and said, “Marilyn. Happy anniversary. I bet Dennis is just having a great time on the other side of the veil.” Once again, my mother resorted to her southern Utah vernacular: “A lot of good that does me. I’m here alone.” It dawned on me that we’re so quick to testify and say it’s okay, and you’ll see them again, and that’s not the example of Jesus. When someone mourned, Jesus wept with them. Even though he full well knew he was going to turn the page and raise Lazarus, within verses, right? But he took the time to weep with Mary. Laura Harris Hales: This is a hard thing. Eric Huntsman: Yeah. You said earlier on in our discussion today that the testaments seemed so distant. Well, these characters and these scenes, these dramatic episodes, make it accessible. We see people wrestling with hard things and how Jesus provides the way out of them. Laura Harris Hales: Eric, that’s probably one of the most powerful messages of discipleship that you brought to our attention in the book, so I appreciate that. Just briefly, I’d like to discuss the Last Supper. First of all, this is the first I heard that this was not a boys’ night out. Do you want to explain your position on this issue because I’m pretty sure Leonardo Da Vinci just drew men in his picture? Eric Huntsman: Well, I would refer you again to my friend Julie Smith and her commentary on the Gospel of Mark because she found a wonderful painting to use as she talks about the Last Supper. And I’m sorry I can’t cite it for you, but it’s a wonderful painting. It’s this big gathering of men, women, and children. I think there’s even a dog in there. We have forgotten that the Last Supper is a holiday meal. When you have your Christmas Eve supper, you don’t shoo all the women who made the meal out of the room and all the kids out of the room. I mean, this is celebrated with families. Laura Harris Hales: Well, it’s a Passover meal. Eric Huntsman: Right. Now, that said, the Gospel of John does not portray the Last Supper as a Passover meal. There is this discontinuity between the synoptics and John because, for John, Passover begins with nightfall on the day Jesus dies. The primary image for John is that Jesus is the lamb of God and so at the very moment the Paschal lambs are being slaughtered in the temple, Jesus is on the cross dying. The Passover for John began with the setting of the sun. It’s not just the weekly Sabbath. It’s probably a festival Sabbath that’s beginning. That said, the Last Supper is simply Jesus’s last time of being with his friends and their families presumably. Whereas a couple of the synoptic gospels, I think Mark and Matthew, do make it seem like it’s the apostles, remember that the Gospel of John—and I say this in the introduction—the Gospel of John uses the word apostle only once in Greek in such a non-technical fashion it doesn’t even appear in our translation. The English word apostle never appears in the Fourth Gospel. This non-technical usage is in the resurrection appearance of Jesus in John. He says, “He that is sent is not greater than he who sent him.” Okay. You’ve got this very non-technical use. It’s just disciples. Now almost assuredly, the Twelve would’ve been there. We know Peter is there. We know that Thomas and Phillip are there. We know that Judas Iscariot is there partway through it. His Beloved Disciple, if he happens to be the apostle, John, is there. One of the reasons, I think, that John doesn’t focus on apostles as much is that he wants to make sure we realize discipleship is for everyone. It’s not just limited to those special witnesses. In fact, these farewell discourses in chapters fourteen, fifteen, and sixteen and then the beautiful prayer in chapter seventeen, they are written to disciples so broadly that as you’re reading them it sounds like Jesus is talking to you. And that’s the point of the disciples gathered for a last meal with Jesus. They represent all of us as we gather weekly to celebrate the Last Supper together. Eric Huntsman: There’s this wonderful DVD representation of the Fourth Gospel, it’s called the “Gospel of John,” and it’s done, I think, with the New English Bible version. The Mary Magdalene figure is at the Last Supper and walks to Gethsemane even though it isn’t discussed in the text. I want you to think about the Last Supper, whether it was the Passover meal itself, the festival meal, or simply a big last supper. We are given some hints in all four gospels that Jesus asked two of his disciples to go rent a room and make preparations, maybe do the shopping. I want you to think really carefully. In this patriarchal society, do you think these men did the cooking? You just almost got to assume that their wives or their sisters or the women who followed Jesus from Galilee are doing what women have been forced to go through for so much of history. They’re doing the cooking. Applying that Last Supper scene to our weekly celebration of the sacrament really gives us the entre into this experience. We are gathered in the family of Jesus around the board, as one of our sacrament hymns says, and that’s men, women, and children. Laura Harris Hales: Let’s circle back to the Beloved Disciple. He is present at very critical parts of the story. What does his presence tell us about discipleship in those scenes? Eric Huntsman: Okay. For the benefit of the listeners who haven’t looked at the texts this way before, he appears at the Last Supper reclining in the embrace or the bosom of the Savior. He appears at the foot of the cross. He runs to the empty tomb with Peter in chapter twenty, and then he is one of the seven disciples at the resurrection appearances in Galilee. Four times he is explicitly mentioned. We presume he is the other disciple following with Peter after Jesus is arrested, who basically gets Peter into the High Priest house for the denial scene. Some scholars suggest, and I tend to agree with this, that he is the unnamed figure with Andrew all the way back in chapter one. So, he had been a follower of the Prophet John before John said, “Behold the lamb of God. Go follow him.” And since so much of this text reads like it is in a personal account, we can suggest that the Beloved Disciple is following Jesus throughout his ministry. He was there at the Bread of Life discourse, and he was there at these different scenes. The Beloved Disciple ends up being what we call the source of this text. Whether it’s a written source or an oral source, he’s the one who passed these stories on. The reason why I think it’s significant, A, that he’s not named, B, that he has the title “Beloved,” and C, that he is explicitly mentioned at crucial moments is because I think the intent is for us to read ourselves in whenever he’s present. It’s a disciple, not a member of the Twelve. We’re not talking about specially ordained and selected witnesses. We’re talking about anyone who chooses to follow Jesus, learn from him, and become like him. He’s beloved. Jesus loves him, and he loves us. Eric Huntsman: What I’m suggesting here is that the characters in John present so many different ways to approach Jesus and come to a knowledge of him—you can be an intellectual like Nicodemus; you can be an outsider like the woman at the well; you can be a woman like the mother of Jesus or Mary; you can be followers of Jesus who struggle with hard sayings like those disciples at the Bread of Life discourse in John 6. In a time when the world, generally, and our church, in particular, are struggling with diversity and multiculturalism, there is this unifying message that what’s really important about discipleship is a loving, living relationship with Jesus. What is important is a testimony that he died for us, hope in his resurrection, and then an assurance that the witness we have of him is true. Laura Harris Hales: I love that. You mentioned one of the interpretations is that the Beloved Disciple represents all Christians. If that’s so, what is John’s message from the disciple’s testimony? Eric Huntsman: Well, it’s interesting, like I said, the last time he’s mentioned is when the editor says, “We know his testimony is true.” You’ve had this interesting interchange. Peter has just had his personal priesthood interview, for lack of a better term, with Jesus, where he gets a chance to three times say that he loves Jesus, and he will feed his sheep, almost compensating for the three-fold denial. Then Jesus talks about Peter’s particular future. Peter is a historical figure who is so clearly drawn it’s hard to associate ourselves with him. He’s Peter. Then Peter turns and sees the disciple whom Jesus loves following. I actually mention this one of the times I bring Greek into the discussion. The Greek verb meaning “to follow” is used as a technical term for “to be a disciple.” You follow him. And it’s even stressed when talking about the disciple who leaned upon Jesus’s breast at the supper. He says, “What is this man going to do?” And Jesus says, “Don’t worry about him. If I say he’s going to live until I come again—” We get all wrapped up and bogged down in translation discussions of whether he’s going to die. That’s not the issue. The issue is that his testimony is true. In Michael Austin’s forward for my book, he said, “One of the things that I got out of reading this was learning that none of us knows enough about the experiences of someone else to judge his or her journey.” And that’s exactly what Jesus says to Peter. “Don’t worry about the Beloved Disciple. His testimony is true, and I will work out his life and his mission with him.” That is, I think, the final message. We may all come to Christ different ways. We know that in the end there is a straight and narrow gate. We understand baptism. We understand priesthood ordinances. I’m not talking about coming to Christ, ultimately. I’m talking about coming to get a testimony that Jesus is the Son of God, and the choice to become a disciple and follow him. That other stuff comes naturally as part of the restored gospel. We may all come to Christ in different ways. It’s not my business to judge your testimony or yours to judge mine. What matters is that we rest in the arms of the Savior’s love, we have a testimony of his death, we have hope in his resurrection, and we have confidence that each person’s testimony can be true. Laura Harris Hales: Thank you so much, Eric, for visiting with us today. Eric Huntsman: Oh, I’m glad you enjoyed it. Thank you. Laura Harris Hales: You are a masterful storyteller, and you have given us lots of tools today. 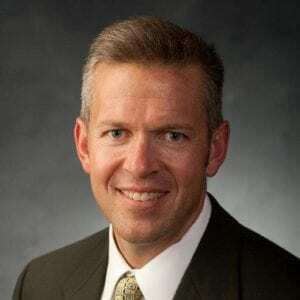 I just want to mention briefly to our listeners who may not have caught it that you gave a phenomenal devotional presentation at BYU on August 7, 2018. Do you want to talk about that a little bit? I’ve been in the habit the last few years when I get to that passage after we use the scripture window, a double window, into the original events and then what it meant to the original readers, I will ask my students to hold a mirror up to themselves, and say, “What are hard sayings to you that sometimes make it hard for you to follow, to stay in the church?” And increasingly, my students would bring up life experiences more than they would truth claims or historical issues. They would say, “You know what? My role as a woman in the church is hard for me.” Or I’d have, not even minority students, sometimes they’d be Caucasians, who’d say, “I am still troubled with the way we treated blacks and the whole priesthood restriction issue.” And, increasingly, students who are now more open about this would say, “I really struggle with gender and sexuality issues.” And, in fact, that day, I also had a student who tried to express herself, and she did it really awkwardly, and she’d been awkward throughout the semester, and one of her fellow students shut her down. This student emailed me that same night and explained she had had a mental illness. Suddenly, my mind is swirling with people struggling with gender and sexuality and race and mental health, and I could not escape the fact that what I felt the spirit wanted me to talk about in that devotional was “hard sayings.” And not to provide answers. In fact, I cite the Martha, Lazarus, and Mary story in the devotional showing that I had to learn not to be too quick on the draw with explanations for these situations, but I needed to sit with and sometimes weep with people as they struggled with these issues. I sat down one week and just wrote this devotional, sent it in, didn’t hear anything about not saying anything, and on August 7th, I stood up, and I actually took M. Russell Ballard as my example. He had given a devotional called “Questions and Answers,” where he talked about lots of things, but one of the things he mentioned was how we needed to listen and better understand our LGBT sisters and brothers. I stood up and shared some stories and said some things I guess you don’t always hear, at least all in one talk. It was, I hope, well received. Laura Harris Hales: It was well received. It resonated with a lot of people. Laura Harris Hales: We will put a link to that devotional broadcast, along with the transcript, in our show notes, so you can check that out. Eric Huntsman: Yeah. The PDF is on BYU Speeches, but I hope you’ll do a video link. I often joke with people that sermons are better preached than read. I have a somewhat idiosyncratic preaching style, so I think even if people don’t agree with my devotional, they’ll at least find it entertaining. Laura Harris Hales: Thank you, Eric. Disclaimer: Latter-day Saint Perspectives Podcast is not affiliated with The Church of Jesus Christ of Latter-day Saints. The opinions expressed on this episode represent the views of the guests and the podcaster alone, and Latter-day Saint Perspectives Podcast and its parent organization may or may not agree with them. While the ideas presented may vary from traditional understandings or teachings, they in no way reflect criticism of Latter-day Saint Church leaders, policies, or practices. The post Episode 104: Discipleship with Eric Huntsman appeared first on Latter-day Saint Perspectives.